Includes bearing and tool kit. 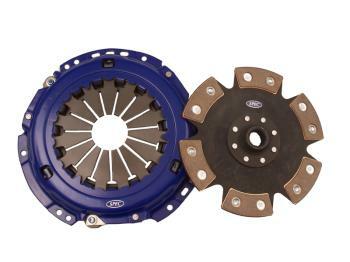 (application dependent) This package converts to Spec E36 M3 clutch upgrades, though Spec standard 2.8L upgrade package for this car is equally as strong. Flywheel purchase required to complete upgrade. Steel flywheel weighs 20lbs ; aluminum flywheel weighs 10lbs. Race bolt kit and flange plate included.